Orient Express is an online slots game that takes you on a journey around the world – or at least to 4 locations, beginning with Paris. 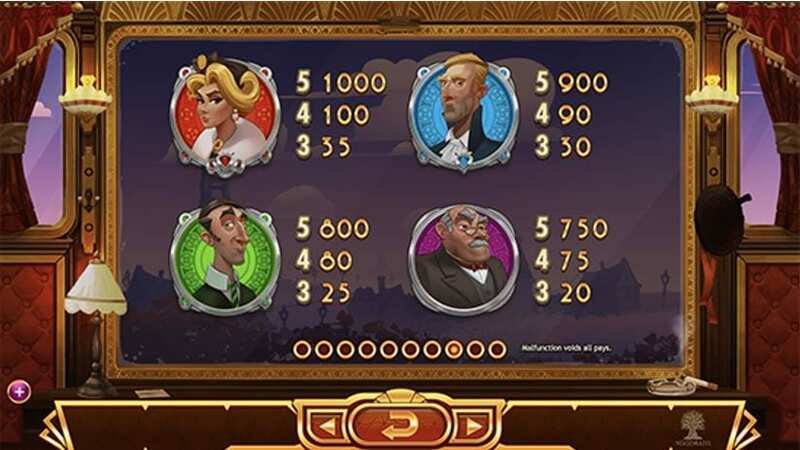 Developer Yggdrasil keeps their themes original and maintains mastery in their graphics, so it is not too big of a surprise that this online slots game has brilliant graphics. Read more about how to play online slots and win more! This is an exceptional slots game – it is thematically consistent, beautifully put together, with Free Spins and amazing game features. Orient Express consists of 5 reels and 20 pay lines, a minimum bet of £0.20 and maximum of £100, and it is also mobile compatible. If you'd like to read more about the other games available from Yggdrasil Gaming here on Wizard Slots online casino. The online slots game is set in the 18th century much like when the long-distance passenger train began its service. There is a romance and charm to the setting of the Orient Express, which is conveyed brilliantly. There's much to say about this game, but it's best to visit our guide here. The slots game has 4 game modes that correspond to the 4 destinations: Paris, Venus, Belgrade, and Istanbul. The modes are accompanied by their specific Wild Features or Win-Multipliers. The game begins in Paris and after completing its Free Spins Round, you move on to the next city. Once all the 4 cities have been visited and you have unlocked their respective Free Spin Rounds, players have the freedom to travel to any of cities to continue spinning the slots – they can get there by using the Map Interface function of the slots game. Orient Express does not only have a great theme and beautiful graphics, it has also catered well to the Bonus Rounds and Features. 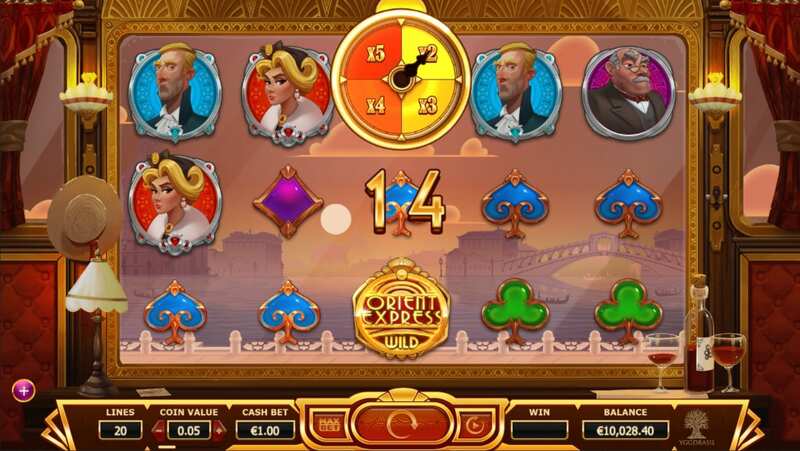 The Orient Express train logo represents the Wild symbol in this online slots game, and it remains the same in all the cities. The Wild can replace all the symbols with the exception of the Scatter (Globe). The Scatter Symbol is represented by a Globe. Landing 3 or more of them will trigger the Free Spins Round. Each city has its own Wild Features. Depending on which city you were in when you unlocked the Free Spins Round will affect the Wild Feature you receive. Paris: Walking Wilds appear in the shape of Ticket Inspectors. The Inspector crosses the reel which gives you a free re-spin with each appearance. Venice: Multipliers can appear in the form of a clock after any winning combination using a Wild. The Multiplier can range from 2x to 5x. Belgrade: Between 1 and 3 reels can turn Wild during spins.